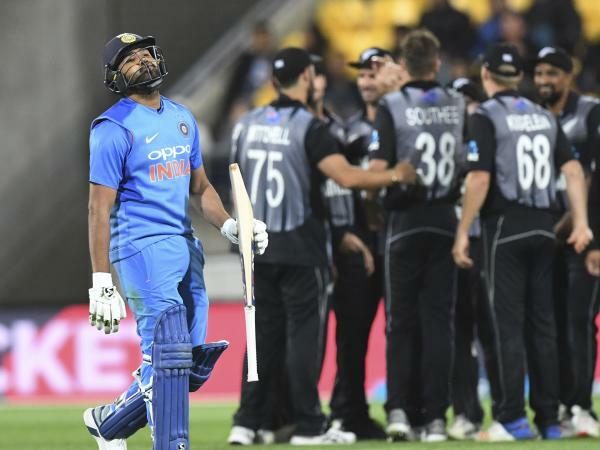 New Zealand got off to a flying start in the three-match T20I series against India with a thumping 80-run win in the first T20I at the Westpac Stadium in Wellington. The defeat was the worst for India in terms of runs in T20Is, with the previous one being a 49-run loss against Australia at Bridgetown in 2010. It was a no-contest between the two sides as India's middle-order failed to deliver yet again after a top-order failure. With the defeat, stand-in skipper Rohit Sharma's run of seven straight wins in the shortest format as a captain also came to an end. India are yet to win a T20I against New Zealand in New Zealand. The Kiwis were phenomenal right from the opening over of the match as openers Colin Munro and Tim Seifert got the hosts off to a flyer.